I love breakfast and all foods associated with it but I have a big love affair with a Bacon (which is more versatile than you think), Egg and Cheese. It’s so good and I keep going for them again and again. 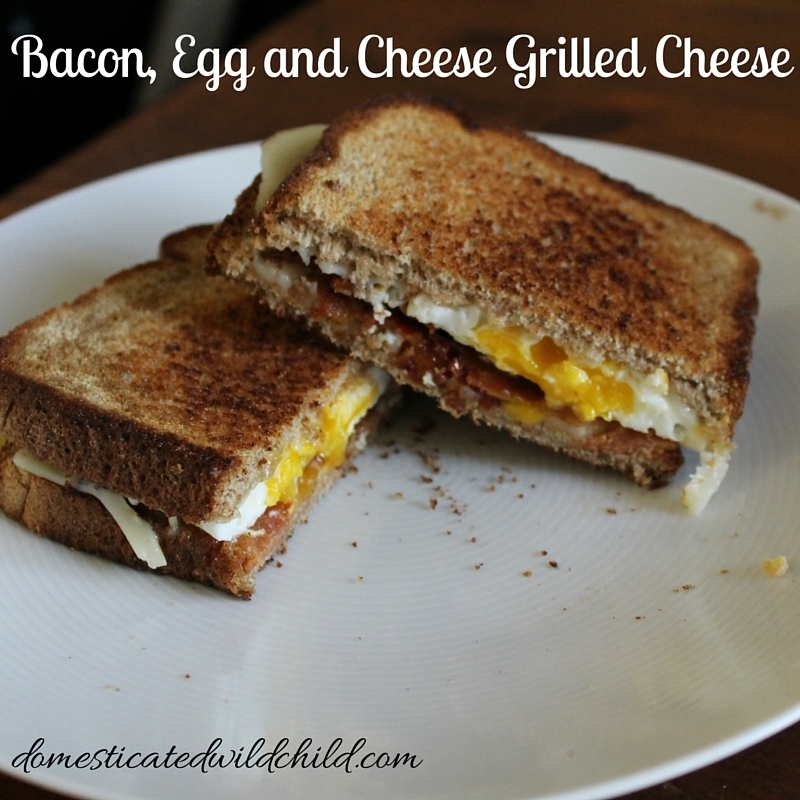 This sandwich mixes my two favorite things: bacon, egg and grilled cheese. This sandwich is so, so good and it’s an easy breakfast to make. 1) In a skillet fry the bacon over medium high heat. While bacon is cooking, lightly toast the bread in the toaster. Brown it just a little. 2) Once bacon is nice and crispy, remove from pan to drain but leave the bacon fat in the pan. 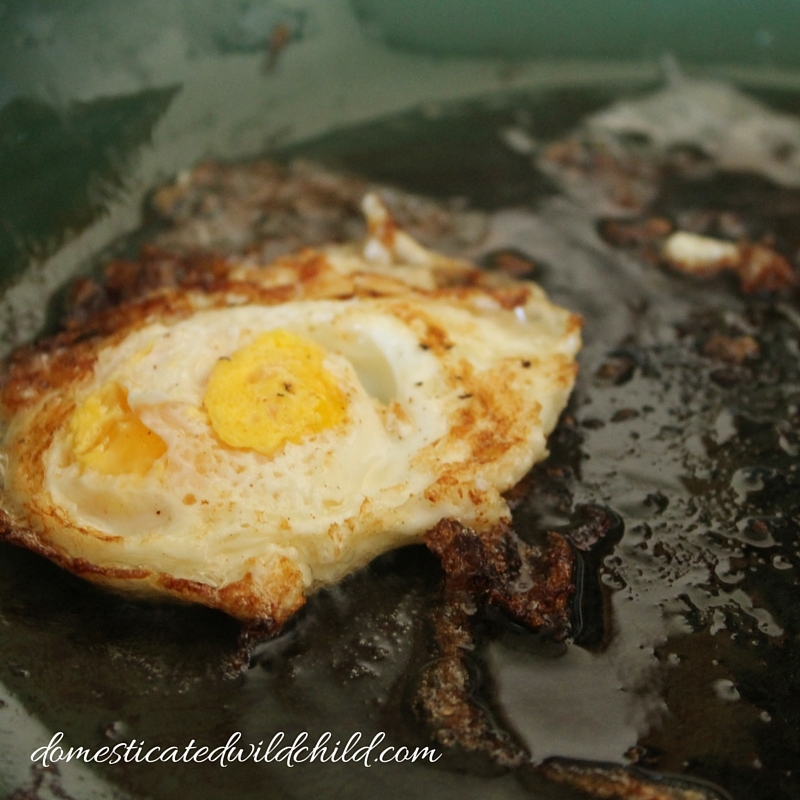 3) Crack the egg carefully into the bacon fat and cook till browned on both sides. 4) Start assembling your sandwich: bread, cheese slice, bacon, egg and top with the other slice of cheese and finally bread. 5) Get rid of 80% of the bacon grease and add the butter to the pan over medium heat. Once melted, add sandwich to skillet and cook for about 2-3 minutes on each side until both sides are throughly cooked. In a skillet fry the bacon over medium high heat. While bacon is cooking, lightly toast the bread in the toaster. Brown it just a little. Once bacon is nice and crispy, remove from pan to drain but leave the bacon fat in the pan. Crack the egg carefully into the bacon fat and cook till browned on both sides. Start assembling your sandwich: bread, cheese slice, bacon, egg and top with the other slice of cheese and finally bread. Get rid of 80% of the bacon grease and add the butter to the pan over medium heat. Once melted, add sandwich to skillet and cook for about 2-3 minutes on each side until both sides are throughly cooked. Very basic but okay if you are not looking for anything up market. Comfort food.